From enhancing your property’s curb appeal with enhanced landscaping to rearranging all of the existing furniture, there are numerous ways to capture the interest of a buyer from the moment they arrive for the first time. “Effective advertising is key to any business, and selling a home is, indeed, a business transaction.” By utilizing print, online, and other available channels, a luxury home for sale can gain the level of exposure necessary to target and bring in buyers. 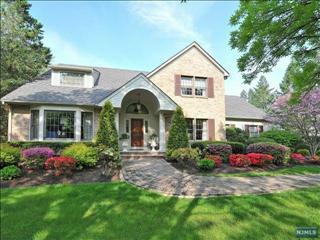 Looking for a Luxury Homes For Rent in New Jersey? I have rentals in Bergen County, Essex County, Passaic County, Morris County and more…. Making the decision to build a home in Bergen County NJ might be one of the biggest you make in your life. You’ve found the perfect plot of land and have a vision of what type of home you want, but you need someone to bring your dream to life. That means it’s time to start interviewing architects. Hiring an architect isn’t as simple as just calling up a few and seeing who might have the time. You’ll want to ensure you choose a professional that understands your design aesthetic, communicates well, can design on budget and has an upstanding reputation. Below are a few key questions to ask when deciding whom to hire. Do You Have A Specific Design Style? When interviewing architects, be sure to ask each one if they have a specific aesthetic and if you can see a portfolio of his or her work. While most are adaptable, they usually all have design themes that recur in their projects. Whether you want a minimalist structure or LEED certified construction, you’ll want to know they have the experience. You’ll need to inquire whether they charge a flat fee for their designs or a percentage of the total building cost. Most architects charge a percentage of the overall cost of your home, usually ranging from 5-20 percent. This is important to know because it means that for every floorboard installed, you’ll need to add on the architect’s additional percentage. Do You Provide Project Management Services? There are many services that architects should include within their contract, such as checking the contractor’s work, making adjustments as the construction moves forward and obtaining lien waivers. Get a list of what each architect you interview includes in his or her fee. Additional charges can add up and might play a part in who you choose. Interviewing architects in Bergen County NJ and finding the right professional can make all the difference when it comes to building exactly what you want. One you work well with can make the construction experience extremely pleasant, while a negative relationship can leave you hating your new home. So do your research and be sure to get references.